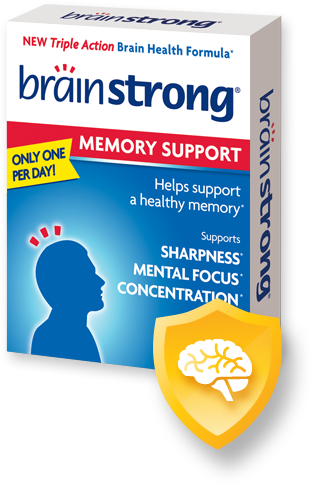 BrainStrong® Memory Support. SUPPORTING brain health is easy as 1, 2, 3. 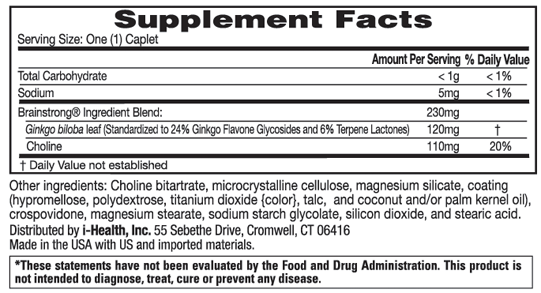 BrainStrong Memory Support nourishes the brain in a whole new way. * Forget the rest, our exclusive triple action formula is a safe, drug-free blend of Ginkgo biloba and Choline. Why take BrainStrong Memory Support? Take one (1) caplet per day with a meal.